Blue Blurry Lines: Val Johnson 1979: Prelude to Cash-Landrum? Val Johnson in a reenactment for That's Incredible! The Cash-Landrum story is a perplexing case, and a lot of attention is given to Betty Cash's skin problems, which have been mythologized as radiation burns from the UFO. As dramatic as it is, it’s by no means the first instance of UFO “sunburn.” Claims of burns from UFO encounters go way back; some notable early examples are the Sonny Desvergers “Scoutmaster”story, Palm Beach, Florida, 1952, Levelland, Texas, 1957, Loch Raven Dam, Maryland, 1958, and Stefan Michalak, Falcon Lake, 1967. It didn’t end there, and reports and rumors of UFO burns became a staple in UFO literature. 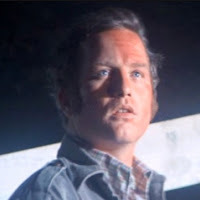 In 1977 movie Close Encounters of the Third Kind introduced the concept to millions, and was highlighted in the scene where Roy Neary shows his wife his burns from a UFO, and insists that it is not a "moonburn." There were other cases shortly before the Cash-Landrum event with UFO burns, some that received nationwide news coverage. The Jerry McAlister UFO sighting on September 11, 1980 has previously been posted here. His case featured a huge, brilliant UFO that allegedly left the witnesses suffering eye damage and radiation burns. Before that, a much more famous case featured some details that would be found again in the Cash-Landrum case. 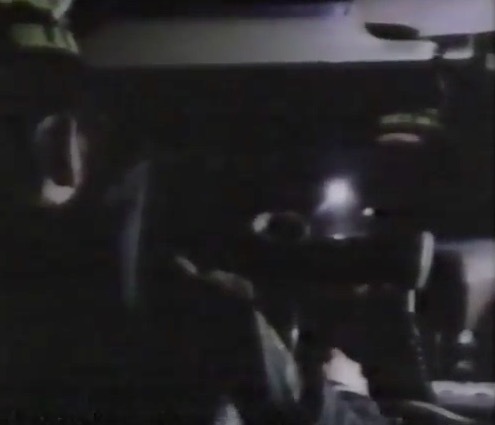 On Aug. 27, 1979, Deputy Sheriff Val Johnson was driving along a lonely road at night, when he saw a blindingly brilliant UFO above the road ahead. Unlike the C-L case, he didn’t stop, and his vehicle collided with the UFO. The car was damaged, and he suffered injuries including “welder’s burns” to his eyes. When help arrived, Johnson was taken to the hospital for an examination and to treat his injuries. Unlike the C-L case, there was extensive visible damage to his car, and it was preserved as evidence and carefully examined. There’s another possible connection to the Cash-Landrum case. The popular television show, “That’s Incredible!” debuted in March of 1980 and ran until 1984. 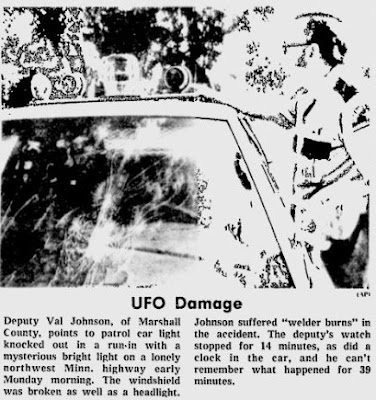 It often featured UFO cases, and in its first season they aired a segment on the Val Johnson story. It featured a reenactment of the event, and an appearance by investigator Alan Hendry of the Center for UFO Studies. Johnson was presented as a credible witness, and it showed that his doctor, employer and family stood behind him. 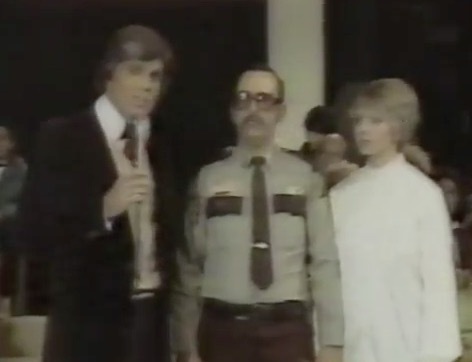 What was strange, though, was that at the end of the segment, host John Davidson asked Johnson a question out of left field. “Was it a religious experience for you? A strange and seemingly scripted question, perhaps to allow Johnson the opportunity to unburden on the topic. The effect was to suggest that UFO sighings are expected to have a religious element. Vickie Landrum in particular put emphasis on how she initially took the UFO to be the Second Coming. She said, "The Bible says the sky will split and in a rain of fire, Jesus will come." Could the Cash-Landrum witnesses have been influenced by this program, perhaps in how they reported their story? In 1981, they appeared on “That’s Incredible!” themselves. The rare segment with Val Johnson on “That’s Incredible!” recently surfaced on YouTube. It’s certainly interesting in and of itself, for the insight into his case it provides, and as a bit of UFO history. "The hard physical evidence leaves only two possible explanations for this case. One is that Johnson's car was attacked by malicious UFOnauts, who reached out and hit one headlight with a hammerlike device, then hit the hood and windshield, then very gently bent the two radio antennas, being careful not to break them, then reached into the patrol car to set back the clock on the car's dashboard. These UFOnauts would then have taken off Johnson's glasses, aimed an intense ultraviolet light into his eyes, and replaced his glasses, while being careful not to shine ultraviolet light on his face. "Or, the incident is a hoax. There simply are no other explanations. Nor are there any nearly identical incidents in more than thirty years of UFO reports."